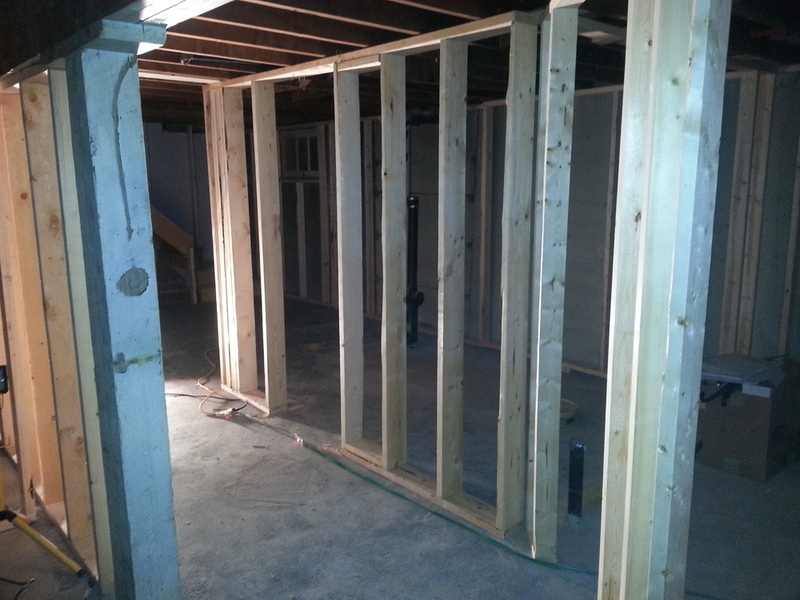 WIR-14-BasementStructural — ReNü Engineering Inc.
With the basement framing complete, we were able to installed the 2x8 built up beam over the bathroom hallway, which transfers the main floor beam's point load down to the concrete floor. 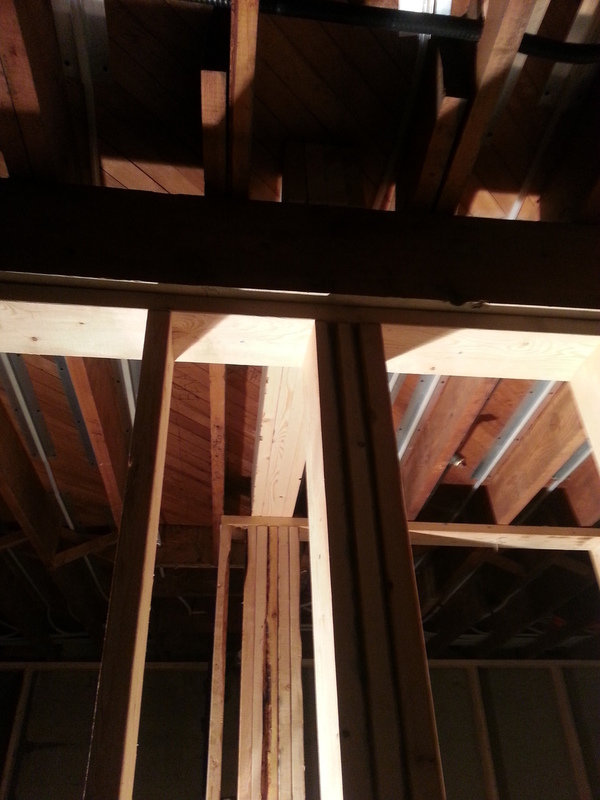 Tough to see in the pictures, but this last beam is the lighter coloured wood between the joists. 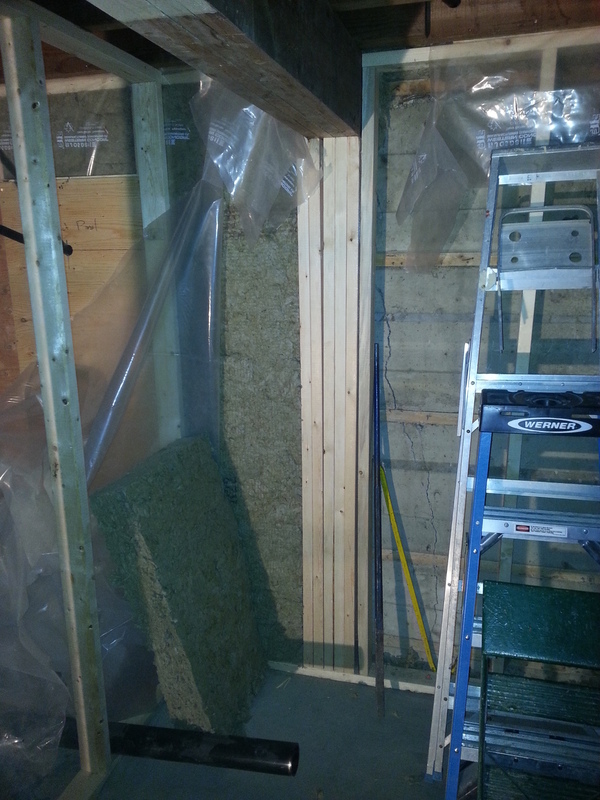 The hallway side walls are 2x6 to support the beam. 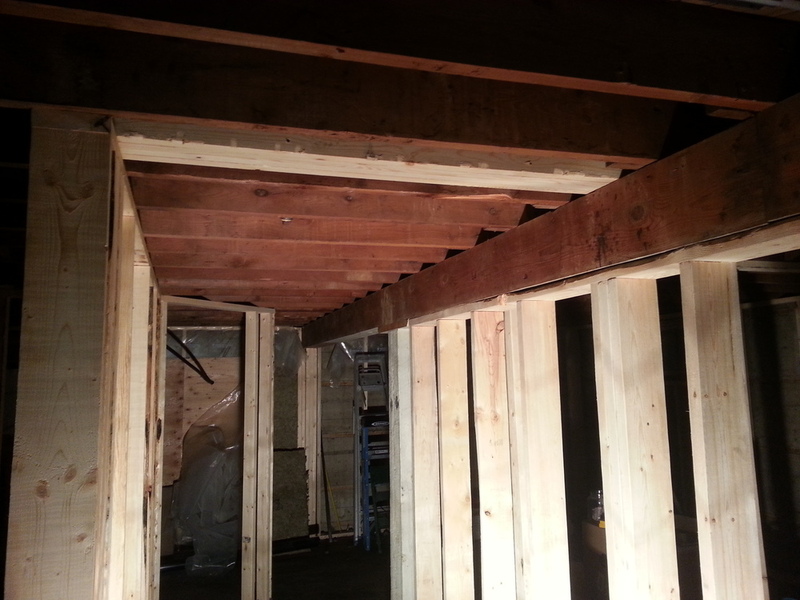 We also added stud support under the main basement beam, which wasn't up to the task alone. 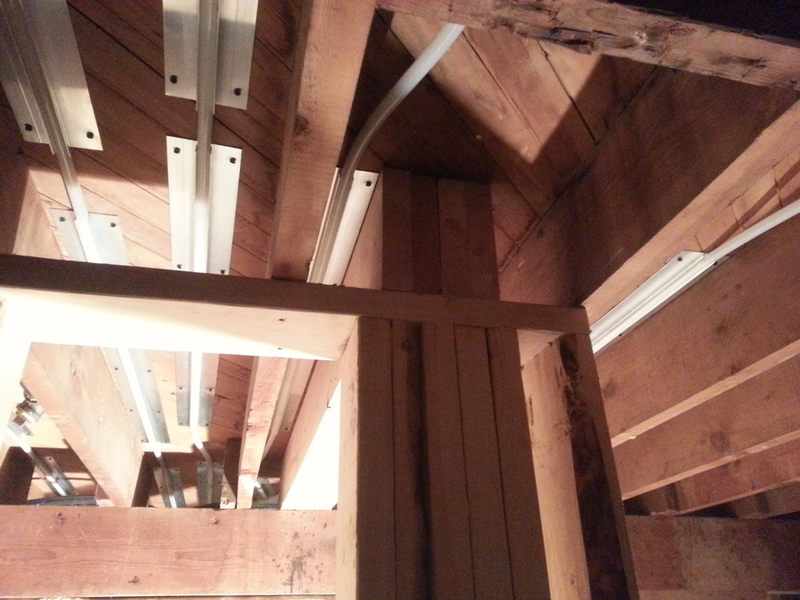 With that installed, the structural modifications are finished. Big thanks to Mike at BP-Tec Engineering for his structural design on a budget!